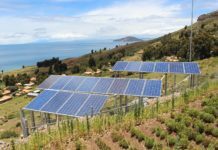 The government of Uganda has received 1.9 billion Ugandan shillings from the American government to aid in the off-grid solar electricity expansion in the country. The money (equivalent to 500,000 U.S dollars) was offered through Power Africa Uganda Accelerator and will be channeled through Uganda Solar Energy Association (USEA) to facilitate the increase of clean energy generation and access to electricity among Uganda’s rural and urban citizens. Accelerator is an initiative that is fully funded by the U.S government, while USEA is an association of over 95 private companies that are committed to providing solar energy to Ugandan citizens (consumers), and especially in the remote areas of the country. The two associations signed a MoU to increase access to solar energy and public awareness. The memorandum of understanding states that the Uganda Solar Energy Association ensure that solar energy solution suppliers comply by supplying their customers with high-quality products. On the other hand, the Power Africa Uganda Accelerator will provide financial support to USEA in staff and dealers’ training, and public awareness promotion. USEA chairman Emmy Kimbowa said that the support is a massive boost to the sub-sector that comes when the government is pushing for more solar panel installations at the rural areas. The over 95 USEA member companies offer different services, but all related to solar energy solutions. 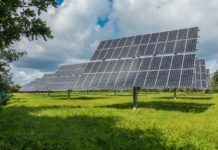 Some of the services include importation of solar panels and other related equipment, distribution, integration, installation, site maintenance, and repair of the solar systems. According to an article published on The Observer, a Ugandan news site, the association has developed a strategic plan that runs from 2018 through 2020 that will focus on adding more members to ensure that every district is covered at the sub-country level. 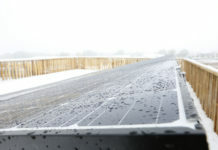 The association’s chairman believes that in three years’ time, over 60% of the country’s households will have either a solar energy product or a related service. The Ugandan government main agenda is to have the off-grid customers to have access to clean and modern energy services, and as a result improve social services, welfare and noticeable economic growth. This will help Uganda to achieve its ambitious middle-income status by 2030.